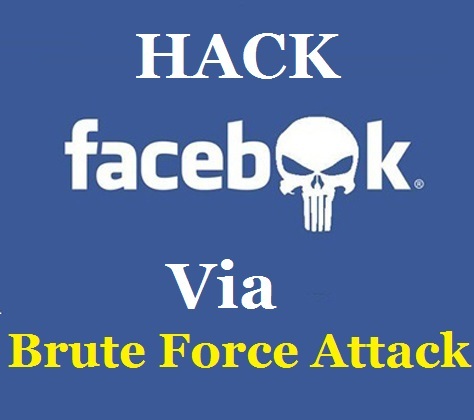 I have written lots of facebook hacking article like hack facebook using android smartphone,open source tools,python and perl script etc.. But Toady I'will tell you about hacking in Facebook Using Brute force attack.In brute force attack method,tool try all combination of password to provide access of victim account.Brute force attack is the only successful method to hack facebook account. The method I am going to use here will be brute forcing, Using World’s Best Passwords Dictionary, CrackStation. So, First lets know something about Brute force attacks, “A brute force attack is a trial-and-error method used to obtain information such as a user password or personal identification number (PIN). But, In our case I’ll be using a Python script and a Long Dictionary Of passwords. I have personally tried it on myself and it really works . step 5. Now it will try all passwords present in the word list, So relax and have a cup of coffee because it will take time depending on speed of your processor and password strength of your victim! when i put password path, it kills it straight away... what do? hi, Im new to kali linux, can anyone say how to add path and where to see the password after finishing the process? bruteforce is a stone age soft, you should better use http://spying.ninja/mspy/ to hack some simple passwords. hey any chance i could do this in windows?